Lorenz Ehrler (Dr iur, MEE) is a partner and attorney at law at Bugnion Ballansat Ehrler. 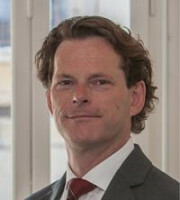 He advises and represents clients in court disputes in all fields of intellectual property, with a particular focus on trademark law, design law, company name law and copyright law. In trademark law, Dr Ehrler’s practice covers the filing, prosecution and enforcement of trademarks, including court proceedings, border measures (anti-counterfeiting) and other dispute resolution mechanisms such as arbitration and online dispute resolution mechanisms (eg, the Uniform Domain Name Dispute Resolution Policy). Having in the past worked as an in-house counsel for a large international industrial group, Dr Ehrler has extensive experience in negotiating and drafting commercial contracts, including consulting, distribution, licensing and IT development agreements. Dr Ehrler is fully trilingual in English, French and German. He represents his firm’s clients before the courts of the French, German and Italian-speaking areas of Switzerland and has working knowledge of Spanish. Dr Ehrler advises and represents domestic and international clients from diverse industries, such as the engineering, energy, watchmaking, water treatment, automotive, sports equipment, real estate and construction, telecommunications equipment, IT, food and pharma industries. Dr Ehrler is a lecturer at the Swiss Federal Institute of Intellectual Property for classes in preparation for the Swiss Patent Bar examination. He also serves as a panellist in domain name arbitration proceedings at the World Intellectual Property Organisation.